The Advisory Committee, comprising 6 independent science leaders and representatives of QNLM and CSIRO, provides strategic advice on the scientific direction of CSHOR. The first meeting of the Advisory Committee is scheduled for 3 and 4 May 2018 in Hobart. Prof AN Zhisheng, a member of the Chinese Academy of Sciences (CAS) and Foreign Associate of the National Academy of Sciences (NAS), is a well-known scientist of Earth Sciences in the world. He is a leading researcher in Asian monsoon dynamics and global climate change, with a focus on the evolution of Asian monsoon, its mechanisms and environmental effects. Based on his pioneering study on loess and other records and their climatic significance, he proposed the “monsoon control theory” which hypothesized that East Asian environmental changes were largely controlled by monsoon variations since late Cenozoic. His multidisciplinary research from classical Quaternary geology to Earth System Science is considered to be one of the important achievements in global change research. 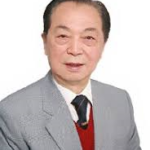 Prof AN served as Vice Chairman of INQUA from 1999 to 2007, and Vice Chair of IGBP steering committee from 2003 to 2006 (Image source: IEECAS). 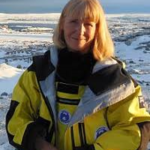 Dr Gwen Fenton is the Chief Scientist at the Australian Antarctic Division. Dr Fenton is responsible for delivering the Australian Antarctic Science Program which encompasses; Antarctic Research Programs, Science Planning and Coordination, Science Technical Support and the Australian Antarctic Data Centre. She was appointed to this position in December 2015. 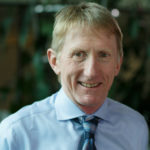 Dr Fenton has worked at the Australian Antarctic Division since 2003 as the manager of science planning and coordination before being appointed as the Chief Scientist. Dr Fenton represents Australia at the Scientific Committee on Antarctic Research (SCAR) delegates meetings and international Antarctic Treaty related meetings, is currently the Chair of the Australian Antarctic Program Animal Ethics Committee, a member of the National Climate Science Advisory Committee, a board member of the Antarctic Climate and Ecosystems Cooperative Research Centre (ACECRC) and the Marine National Facility (MNF), a member of the management committee for the Australian Research Council Special Research Initiative (ARCSRI) Gateway partnership, and a member of the University Research Committee (UTAS). Dr Peter May joined the Australian Bureau of Meteorology in 1990 as a research scientist after working in NOAA and the University of Colorado. He has been the Assistant Director for Research and Development since late 2009. This role is now designated as the Head of Research. During part of that time he served as the Deputy Director of the Centre for Australian Weather and Climate Research – A partnership between the Bureau and CSIRO. Our science covers environmental issues, climate science and weather applications as well as developing staff and corporate capability. He has overseen the development of the operational systems that underpin Bureau services as well as major projects delivering climate information to the nation. He serves on a number of advisory committees and represents the Bureau at major national and international committees. He is currently a member of the WMO Commission of Atmospheric Science Management Committee that oversees WMO weather and environmental research coordination. Dr Paul Hardisty commenced as Chief Executive Officer of the Australian Institute of Marine Science in July 2017. An honours graduate in Geological engineering from the University of British Columbia, Canada, he has a Masters in Hydrology, and a Doctorate in Environmental Engineering, from Imperial College, London. He has been a Visiting Professor in Environmental Engineering at Imperial College, London, since 1999 and is an adjunct Professor at the University of Western Australia. Dr Hardisty has worked extensively in marine and coastal environments and on marine research projects, with many of the stake holder and customer groups that AIMS deals with. He has substantial experience of both the public and private sector. He was the founder, owner and leader of Komex Environmental Ltd, an international environmental consultancy, built from start-up to a $50 million pa turnover company with a thousand employees and sold to the engineering services company Worley Parsons, in 2006. From 2006-2013, Dr Hardisty served as Global Director, Corporate Responsibility and Global Director, Sustainability and Economics for Worley Parsons. In 2013, Dr Hardisty joined CSIRO, initially as Flagship Director, CSIRO Climate Adaptation Flagship, and more recently, as Business Unit Director, CSIRO Land and Water (Image source: AIMS). 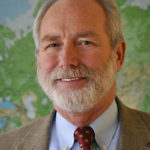 Dr Michael McPhaden is a senior scientist with the US National Oceanic and Atmospheric Administration’s Pacific Marine Environmental Laboratory in Seattle, Washington. Dr McPhaden’s research focuses on large-scale tropical ocean dynamics, ocean-atmosphere interactions, and the role of the ocean in climate. During the past 35 years, Dr McPhaden has focused on developing ocean observing systems for climate research and forecasting, most notably the Tropical Atmosphere Ocean (TAO) moored buoy array in the Pacific Ocean for studies of El Niño and La Niña. He is a past President of the American Geophysical Union, an organization of 60,000 scientist from 140 countries. Prof Martin Visbeck holds the physical oceanography chair at GEOMAR Helmholtz Centre for Ocean Research Kiel and Kiel University, Germany. During a postdoctoral fellowship at MIT, Cambridge USA, his research interest focused on the interaction between ocean eddies and deep convection regions and their respective heat and density transports. 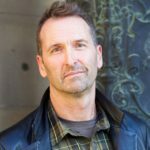 As a Research Scientist at Lamont-Doherty Earth Observatory and Associate Professor at Columbia University, New York, his interest shifted to more general aspects of the ocean’s role in the climate system including work on the North Atlantic Oscillation and Deep Water formation off Antarctica. Since October 2004 he holds the chair in Physical Oceanography at GEOMAR and Kiel University. 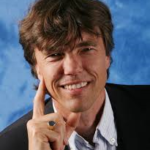 Prof Visbeck has served on several national and international advisory committees. Currently, he is member of the Scientific Steering Group of the World Climate Research Project CLIVAR (Climate Variability and Predictability), which facilitates global climate research in the atmosphere and ocean. He is a member of the German National Committee for Global Change Research, the German Research Foundations (DFG) Senatscommission for Oceanography, chairman of the German Committee Future Earth, in the Leadership Council of the Sustainable Development Solutions Network, and is Speaker of the Kiel Research Cluster ‘The Future Ocean’ supported by the German Excellence initiative, which is advancing integrated marine sciences (Image source: Kiel University).